The “Battle of sprinters” Races is carried out at distances 50m (backstroke, breaststroke, freestyle, butterfly). The entry fee for an athlete regardless of the number of events that he would like to enter is 350 UAH for the citizens of Ukraine and 20 USD for foreign nationals in the national currency at the exchange rate of National Bank of Ukraine on the day of payment. 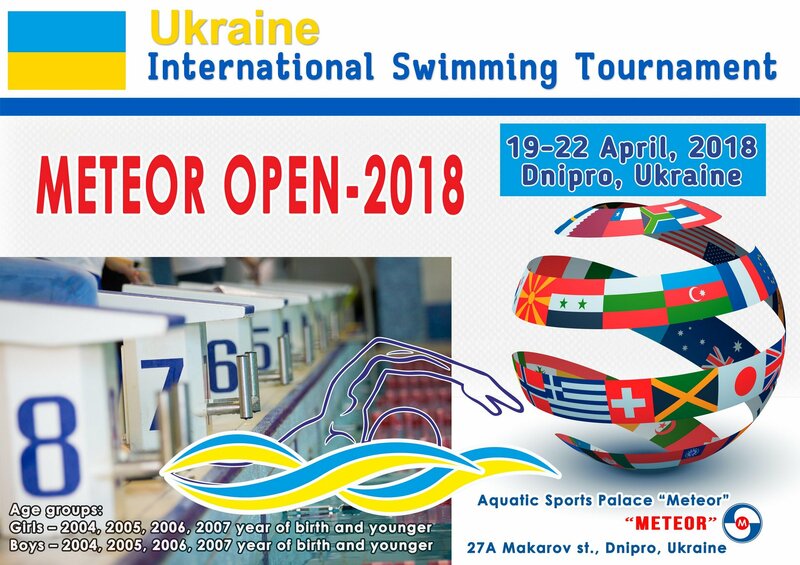 Preliminary entries must be done on the website swimtime.in.ua/meet/meteoropen2018 by 1 March 2018. 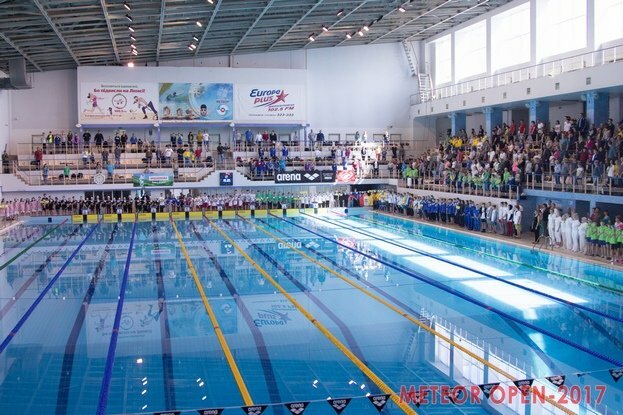 The entries by name are to be submitted to the organizing committee from 5 March to 8 April at email swimtime.in.ua@gmail.com or using an online service at swimtime.in.ua/meet/meteoropen2018. An insurance policy valid for the whole duration of the competition. WELCOME TO METEOR OPEN - 2018! The city of Dnipro (ex Dnipropetrovsk) or Dnepr (Rus.) is situated on the Dnieper River (Dnepr or Dnipro) in East-Central Ukraine, and has a population of 1 million (third city in the country by population). Large and beautiful, it is the main city of East-Central Ukraine.